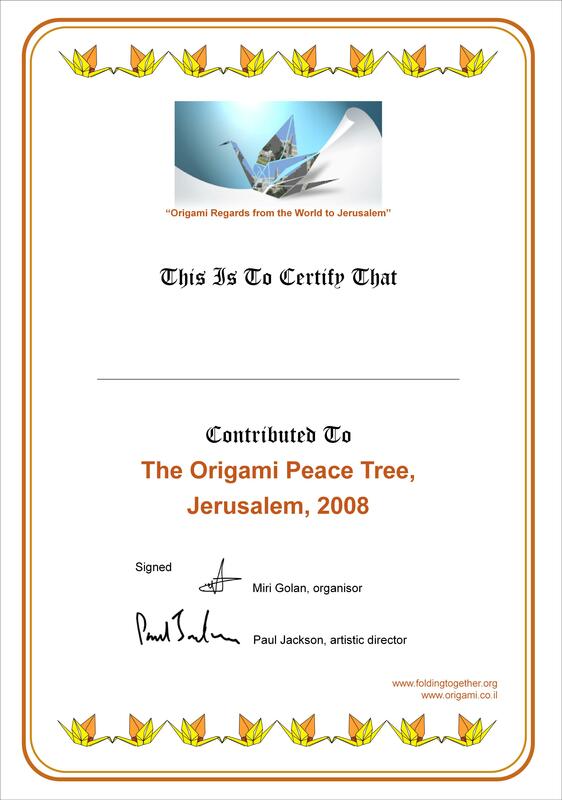 "According to the OPT tradition, each contributer receives a certificate of participation. Printing and mailing so many individual certificates is very expensive and time consuming and beyond our means. 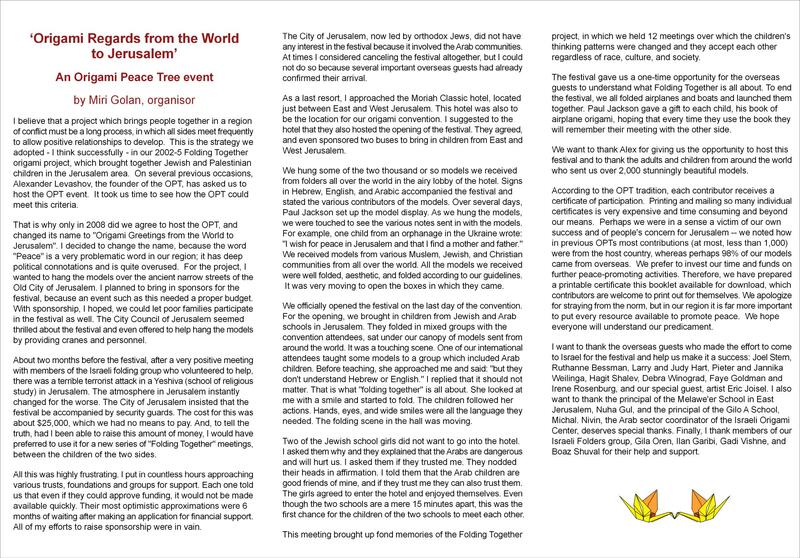 Perhaps we were in a sense a victim of our own success and of people's concern for Jerusalem - we noted how in previous OPTs most contributions (at most, less than 1,000) were from the host country, whereas perhaps 98% of our models came from overseas. We prefer to invest our time and funds on further peace-promoting activities. Therefore, we have prepared a printable certificate and a booklet available for download, which contributors are welcome to print out for themselves. We apologize for straying from the norm, but in our region it is far more important to put every resource available to promote peace. we ope everyone will understand our predicament." 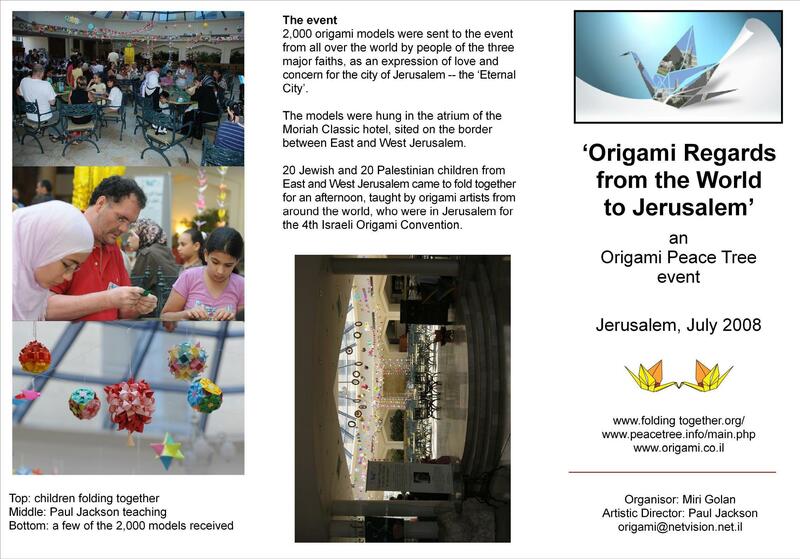 Here you can find all the people who sent their models to be shown on the Origami Peace Tree 2008 in Jerusalem.